Graceful and elegant, this is a flower bouquet to admire. 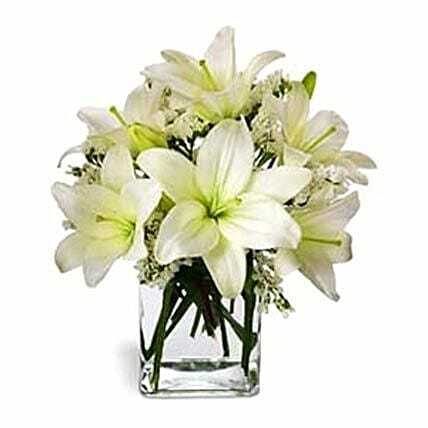 Arranged in a clear glass vase are 4 breathtakingly beautiful casablanca lilies. This fresh flower bouquet is set to send your meaningful sentiments to your loved one.